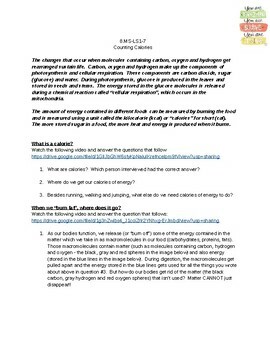 This activity addresses Massachusetts standard 8.MS-LS1-7. 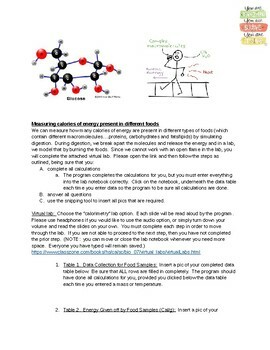 Using videos and an on-line virtual lab (no subscription required, but needs Flash Player) students work through identifying the calories contained in different foods. This is an on-line calorimeter lab, which is safer and requires no access to potential food allergens. 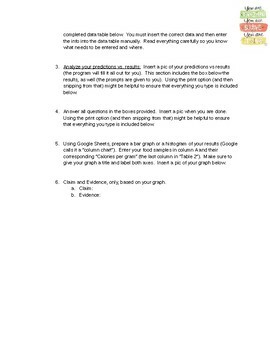 Students are asked to using the snipping tool found on all all computers to document their work.